As a master’s student, Yoel advances these goals through science and computer programming. His most recent work is with the Guest Research Group, led by Jeremy Guest, Assistant Professor in the Department of Civil and Environmental Engineering at Illinois, under the Center for Advanced Bioenergy and Bioproducts Innovation’s (CABBI) Sustainability theme. At a young age, he was captivated by the Science, Technology, Engineering, and Mathematics (STEM) fields. After exploring several STEM-centric career paths, including medical research, Yoel graduated from the Georgia Institute of Technology with a B.S. in Chemical and Biomolecular Engineering. Currently, he is pursuing an M.S. in Civil and Environmental Engineering at the University of Illinois at Urbana-Champaign. “In the end, I found that I had more of an engineering mind, with a math, programming and theoretical background,” he said. Environmental sustainability has always been Yoel’s chosen avenue for applying his skills. The U of I’s biofuel research was what initially drew him. Now, his position in the Guest Research Group unites his passions for engineering, programming, and sustainability through an initiative that combines all three: biorefinery simulation. Biorefineries, oil refineries’ eco-friendly counterparts, process large quantities of feedstock biomass to produce an array of energies and biofuels. The goal of a biorefinery is to use all aspects of the feedstock while minimizing waste. The feedstocks, or crops, that are currently cultivated through CABBI include sorghum, Miscanthus, energycane, and sugarcane. Yoel’s work involves simulating the biorefinery’s many moving parts. He will ultimately design a production process that meets government-mandated standards while remaining sustainable and producing target yields of desired products. To complete this exhaustive give-and-take analysis, Yoel develops process simulation software in Python, a specific type of programming language used for general computer programming. With this software, he can test various performance parameters while observing the biorefinery’s overall performance. “Theoretically, fermentation can reach 95% efficiency with a worst-case scenario of 80%. We can layer that on, for example, and test how the biorefinery performs — economically and environmentally — over the whole range of fermentation efficiencies,” Yoel said. Based on these simulations, he charts development roadmaps, which can inform researchers regarding what (and what not) to focus on. “Occasionally, results show that a process does not merit further research — for example, it isn’t feasible to run a biorefinery that doesn’t match government standards for greenhouse gas emissions, even if it produces satisfactory yields,” he said. Although it is a lot of work, Yoel expresses an appreciation for his work and the opportunities that arise as a result. He also appreciates his lab’s emphasis on constant learning and individual development. Currently, Yoel is the sole team member working directly with the program’s core. He hopes that this won’t always be the case, and he expresses a desire to craft sustainable code that’s universally accessible to researchers and allows them to contribute to its development. Given his love for science, it’s no surprise that Yoel hopes to someday be a professor with a lab of his own. 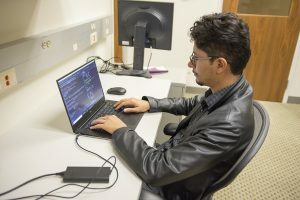 Recently, he conducted a series of Python workshops on object-oriented programming within his lab group and appreciated the opportunity to share his expertise with his peers. 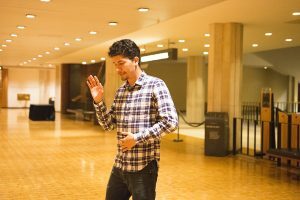 Yoel’s dual passions for dancing and programming are interconnected, and they converge around his love for teaching. 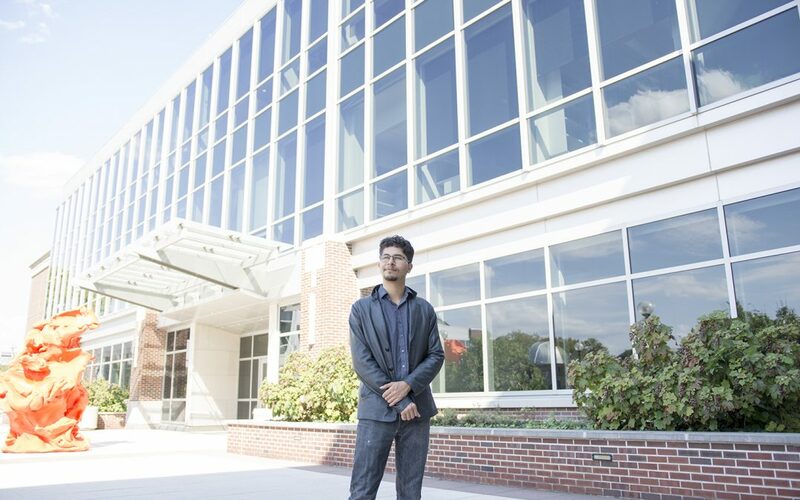 Be it through bioenergy, lines of code fashioned to stand the test of time, or dance studios full of students, Yoel is committed to securing a sustainable future in as many ways as he can.